How do you follow up being the first vice president of the United States? 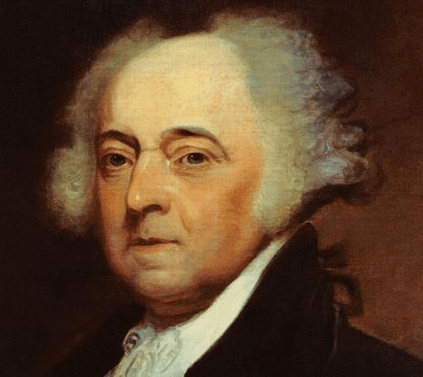 In John Adams’s case, he became the country’s second president. Today, Adams is recognized for his numerous and varying accomplishments, including being an American Founding Father, main author of the 1780 Massachusetts Constitution, and helping to draft the Declaration of Independence in 1776. Adams attended Harvard College in 1751 before going into law. Already well known for his political and editorial writing, he became even more of a public figure when he agreed to defend the British soldiers charged with murder of American citizens in what became known as the Boston Massacre. Six of the soldiers he defended were acquitted of all charges, and two soldiers were convicted on lesser charges of manslaughter. Although he had defended British soldiers, Adams was highly involved in the move to seek American independence from Britain. His famous report, “Thoughts on Government,” defended republicanism and called for separation of power between the three branches of government. It was printed by Richard Henry Lee in 1776 and influenced the writing of various state constitutions. During the American Revolution, Adams was instrumental in securing independence from Great Britain, and later assisting peace treaties between both nations. He was sent to Europe as a representative both during and after the revolution, traveling as far as France and Holland to represent the newly independent nation. Additionally, Adams was part of the committee charged with drafting the Declaration of Independence and was even favored by the committee to write the first copy. In the end, Thomas Jefferson was chosen to write the first draft with heavy input from the rest of the members. Adams married Abigail Smith and together they had six children, including John Quincy Adams, who would later become the sixth U.S. president. Although Adams originally lost his bid for presidency against George Washington, he went on to win the 1796 election against Jefferson, 71-68. During his presidency, Adams continued the legacy set by Washington in leading the newly founded nation as fairly and balanced as possible. According to Adams, his most impressive accomplishment was avoiding war with France, a fact he was so proud of it was later engraved on his tombstone at his request. In 1800, Adams lost his bid for re-election against Jefferson. Years later, Jefferson and Adams were able to regain their friendship, and they held a long-running correspondence, which continued until their deaths. John Quincy Adams, sixth U.S. president, was the son of John Adams. The only other father-son presidential duo to date has been George H.W. Bush and George W. Bush. Adams died 16 months after his son became president. Adams did not attend Jefferson’s inauguration, and many historians believe he may have been deeply unhappy about his loss. Adams and Jefferson died within hours of each other on July 4, 1826, the 50th anniversary of the adoption of the Declaration of Independence.